The kit is pretty much a straight OOB build of the DML Premium kit. It's a superior model with lots of fine detail, including two full frets of PE. You don't have to use the PE (there are plastic parts), but the vents and screens are very nice. There's a turned aluminum barrel, and a wire tow cable. This is my first time using Magic Tracks over Friuls, and I have to say I despised them: lots of work to paint them, then gluing them all together. Naturally they didn't fit perfectly, so much cursing in several languages. I scraped off most of the detail on the road wheels and even dug out divots for extensive wear on the rubber portions. Then it was powders and washes to give it that filthy, at-war look. Wow, some great points being made, glad to have this lively discussion. 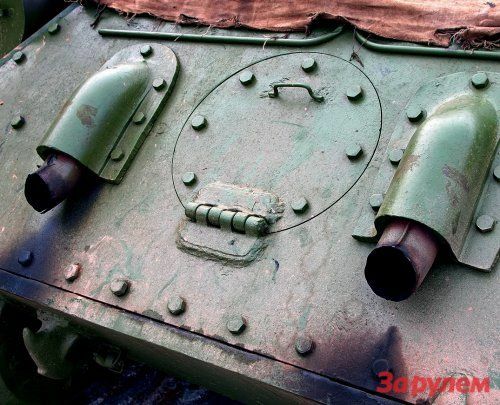 Pawel, I have looked at your photos, and though they are all restored tanks, I will put some more thought to this. I will try to find some period photos, which even if in B&W will show if there's any corrosion on the guards. Regarding the saw, if you leave tools out in the elements, they will rust. The photos make the saw look rusted, when actually it's a coating of new rust over a silver metallic base. I don't know about the SU-85 kit having both barrels. This is a very nice kit, the only thing I did not like is the Magic Tracks and bogeys. I ended up having to snip off the ends of the suspension arms to align the track with the sprockets. That may be because I added the road wheels after the build was done. Can't say if they would fit better if built according to the instructions. Bill, I don't disagree with the existence of the rust; i only thought it appeared to be in a very advanced state compared to the rest of the vehicle. I still think it's fantastic the discussion: if I posted pics of my work people would be arguing over whether it looked like rust at all or just too much rouge! Mark, you are too kind. I may tone down the rust a bit now that I've looked at photos (though I bet Frenchy has access to some great ones). 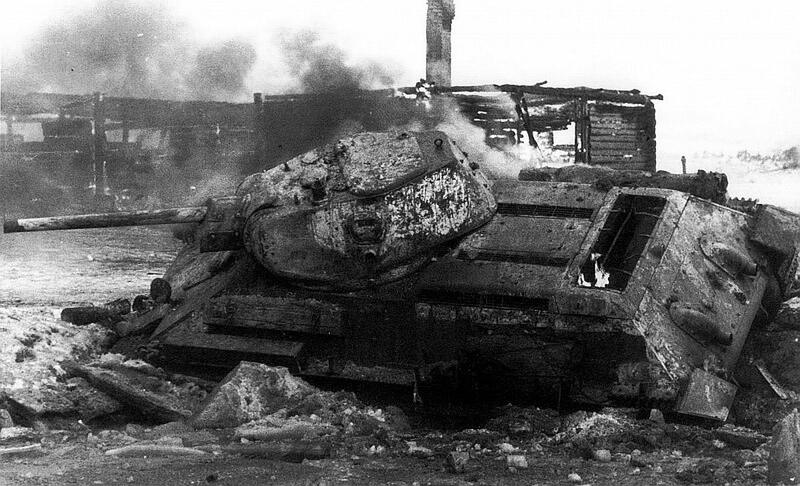 The challenge with weathering are wear is that tanks didn't last in combat all that long before they broke down or were otherwise destroyed/disabled. The push on Berlin, however, meant a lot of hard fighting, since it's likely the Soviet armor had to drive most of the way there from railheads in Poland or even further East. Thanks! I just searched the Internet for T-34s (SU-100s seem to turn up more modern photos. Keep trying, it's all trial and error. And the good news about pigments is: you can "wash" them off with mineral spirits. Great work on the SU Bill! Despite your fight with the tracks, they turned out looking just right. I like the rusted fenders too.